Over the course of the coming days, we plan on providing a lot of new information regarding the VIPER organization and the 2018 ride. Check back here to keep up to date. It’s not much of a secret that our biggest challenge is finding veterans who are willing and able to ride with us. In an effort to increase the number of TAILGUNNERs in THE VIPER RIDE™, we have decided to take specific steps toward increasing participation. Another approach we are taking to both increase the number of TAILGUNNERs and enhance their enjoyment and comfort is to allow them to sponsor a guest. • Each qualifying TAILGUNNER may be accompanied by a guest who participates with them in the ride. This could be a spouse, a sibling, a son or daughter, a caregiver, or a friend. TAILGUNNERs from the previous rides have consistently expressed excitement and the joy of riding with us on a motorcycle. Bringing a guest rider provides them with the opportunity to share the experience with someone they love and the ability to relive the experience with someone close well beyond the day of the ride. 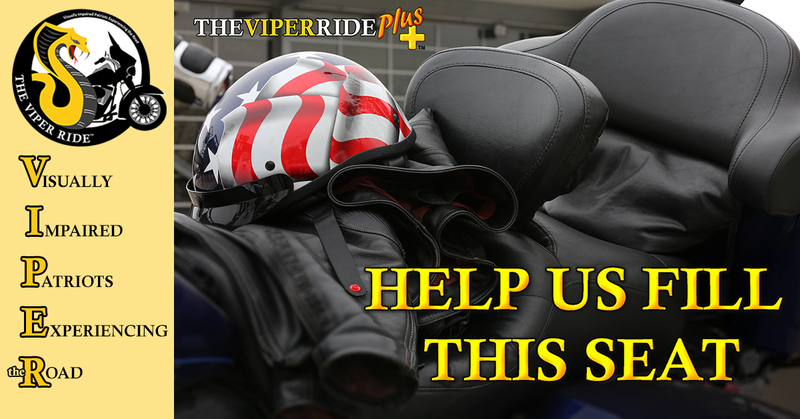 We want the 2018 VIPER RIDE PLUS+ to be a bigger and better so please help us out. Identify a qualifying vet and let us know who they are; or work with them to submit an application (or 2 applications if they’d like to bring a guest). Let’s all do whatever we can to put veterans in the TAILGUNNER seats for the 2018 VIPER RIDE PLUS+ on September 30th, 2018. As discussed previously, our biggest challenge is finding veterans who are willing and able to ride with us. Once again, in an effort to increase the number of TAILGUNNERs in THE VIPER RIDE™, we are taking specific steps in an effort to increase participation. One comment we heard consistently from TAILGUNNERs on the previous rides was the challenges presented by the date of our ride. We have historically conducted THE VIPER RIDE™ in late August, the third Sunday before Labor Day. 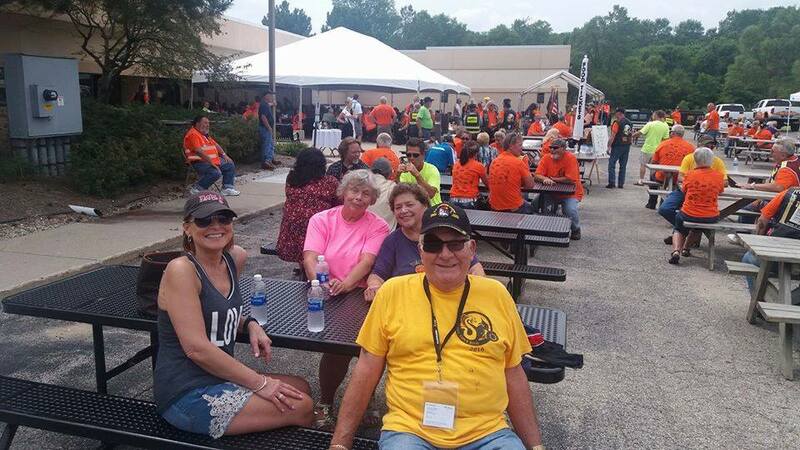 Two big events that occur every year right around that time in late August are the Blinded Veterans Association National Convention and Camp American Legion for blind and visually impaired veterans in Lake Tomahawk, Wisconsin. Both of these events seemed to create scheduling hardships for many of the TAILGUNNERs and potential . In an effort to remove the scheduling challenges for potential TAILGUNNERs, we decided to move the date of THE VIPER RIDE into September. 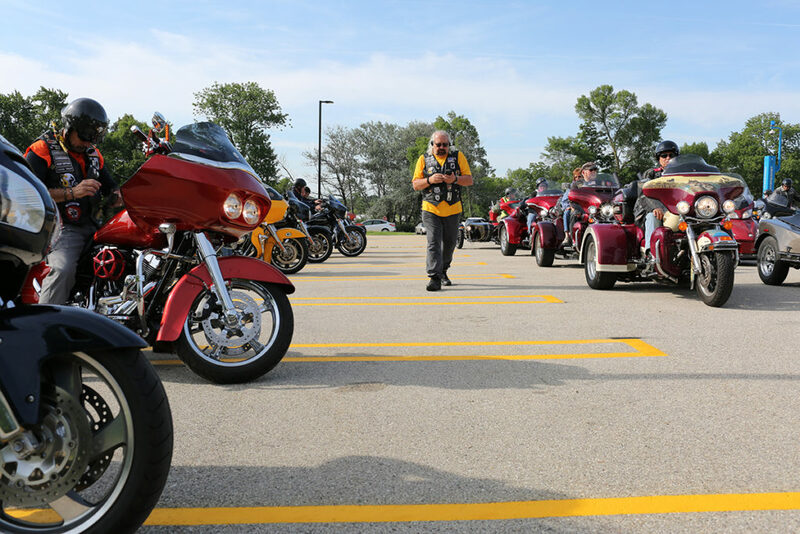 The Milwaukee Rally, the Harley-Davidson 115th Anniversary, Regional HOG Rallies, and the Tomahawk Fall Ride dates all conspired against us for selecting a date earlier in September. As a result, this year’s VIPER RIDE PLUS+™ will occur on Sunday, September 30th, 2018. The absolute-drop-dead application deadline for all participants is Saturday, August 18, 2018. We will fill the ride formation and the GROUNDCREW requirements based on our specific Event Staffing and PILOT needs with the earliest applications taking priority. Do us and yourself a favor by applying early if you want to participate. It will be interesting to see how the date deferral affects the ride, both from a participation perspective and from a weather perspective. I’m personally hoping the weather will be a bit cooler for us. Depending on the summer weather, color changes for the leaves could make for a more scenic ride this year. Perhaps we will need to consider the adoption of LONG SLEEVED SHIRTS for 2018! 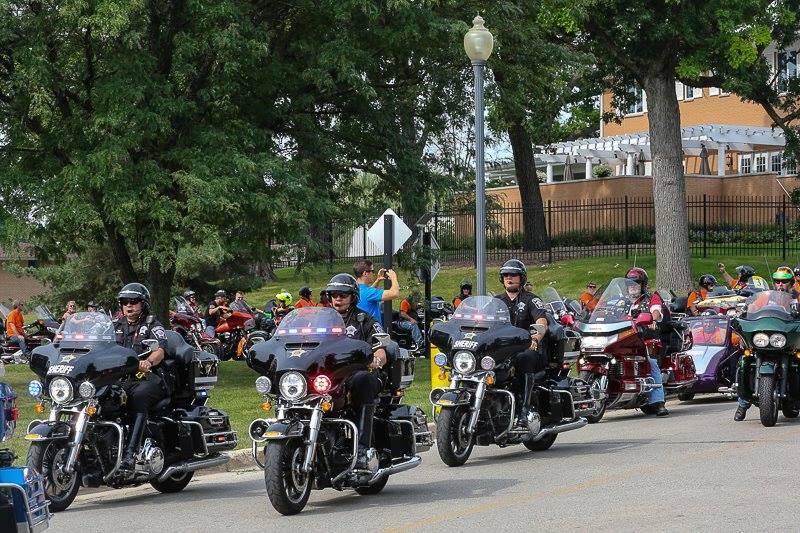 The previous VIPER RIDES were both conducted using the same ride model, meaning… we began and ended the ride on the grounds of the Clement J Zablocki Milwaukee VA Center. Each ride was comprised of 2 halves, the first leg running from Milwaukee to East Troy and the back half consisting of the return ride from East Troy to Milwaukee. There was an extended mid-way stop conducted at the Village Hall in East Troy where we enjoyed a catered meal, live entertainment, a lot of socializing and comradery, and plenty of opportunity to meet with friends both old and new. The total distance travelled on motorcycles for each of these rides varied from just under 100 to over 110 miles. Subsequent discussions and information gathered from feedback cards and face to face discussions with the participating TAILGUNNERs indicated the total distance and time in the saddle was pretty much pushing many of them to the limit. Especially some of our older vets. As seasoned bikers we tend to forget that sitting on the back of a bike can really deliver a pounding, particularly if your riding exposure is limited to only one day per year. In direct response to the needs and desires of the TAILGUNNERs, and for their comfort and enjoyment, THE VIPER RIDE PLUS+™ in 2018 will utilize a different ride model. We will conduct the entire ride route in a loop, leaving the point of origin, riding a shorter route, and returning to the starting point where we will dismount and proceed with our celebration and social event. There will not be a back half of the ride. While many VIPER PILOTs may look upon this as an opportunity to quickly depart as soon as the ride ends, we would urge you to stay, enjoy the meal and the entertainment, and spend time with the TAILGUNNERs. Don’t forget that while the ride is a key component of the VIPER event, it is the comradery and socializing that is the underlying constructive force behind what we do. As we have mentioned, the ride model for THE VIPER RIDE PLUS+™ in 2018 is changing from what we have done previously. One resulting outcome of adopting this new ride model is that the location for the VIPER social event and the point of origin for THE VIPER RIDE™ is now one and the same. Based on a variety of things, the Clement J Zablocki Milwaukee VA Center cannot support our 2018 needs for the VIPER event. 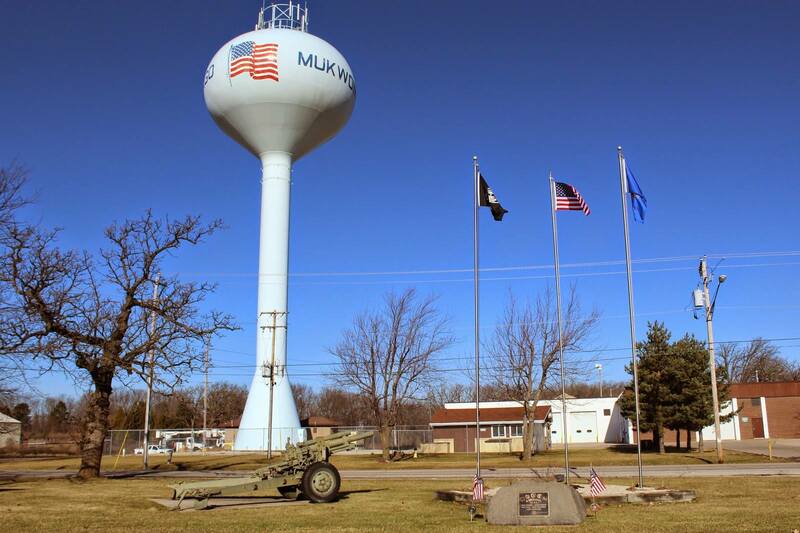 Issues that prevent the Milwaukee VA from being a viable option this year include the pavilion being of limited size and availability, and commercial usage restrictions on the VA grounds. Additionally, the VA grounds does not have the space we would need for extended motorcycle parking for the duration of our afternoon social event. As a result, THE VIPER RIDE PLUS+™ was faced with finding a different venue that met our 2018 requirements. 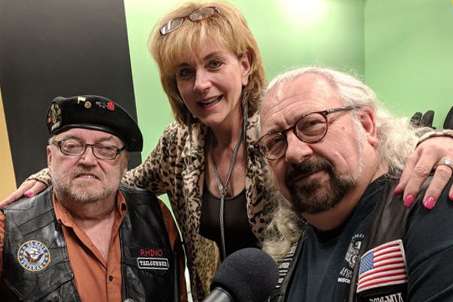 Fortunately, there was a very active veteran’s organization with a wonderful facility that met our needs and they were willing (and in fact very eager) to get involved and host THE VIPER RIDE PLUS+™. It is with great pleasure that we announce the American Legion Post 375 in Mukwonago Wisconsin as our VIPER RIDE host for 2018. Since receiving their charter on May 23, 1934, Post 375 has a long and continuous history of patriotic service to God, Country, Community, and fellow veterans. The address of the Post is 627 East Veterans Way in Mukwonago. This is on County Road NN, midway between Highway 83 and County Road ES (National Avenue). 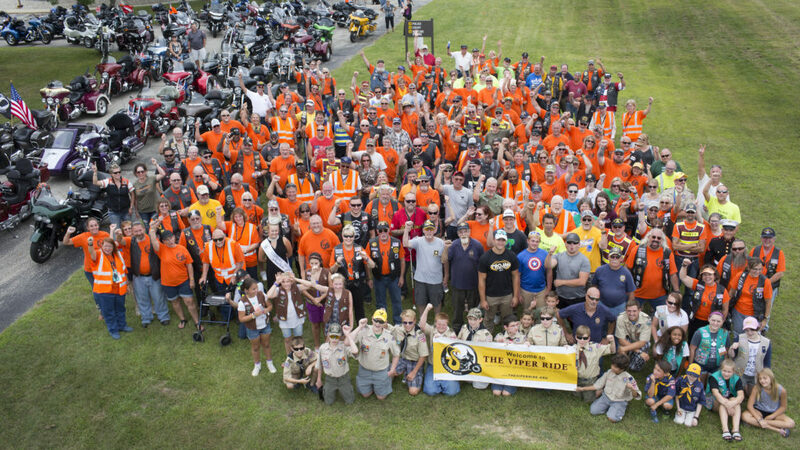 We are grateful for their willingness to host the ride this year, and we are eager to be able to share all the great things about THE VIPER RIDE with the wonderful people of Mukwonago!